In 2012, the NYC Department of Transportation (DOT) was awarded a federal grant to develop an implementation plan for the Jamaica Bay Greenway, a 19-mile pedestrian and bike trail around the western half of Jamaica Bay. The trail, which runs along existing streets through southern Brooklyn; Howard Beach, Queens; the Rockaway peninsula; and Floyd Bennett Field, was first proposed in the 1980s. 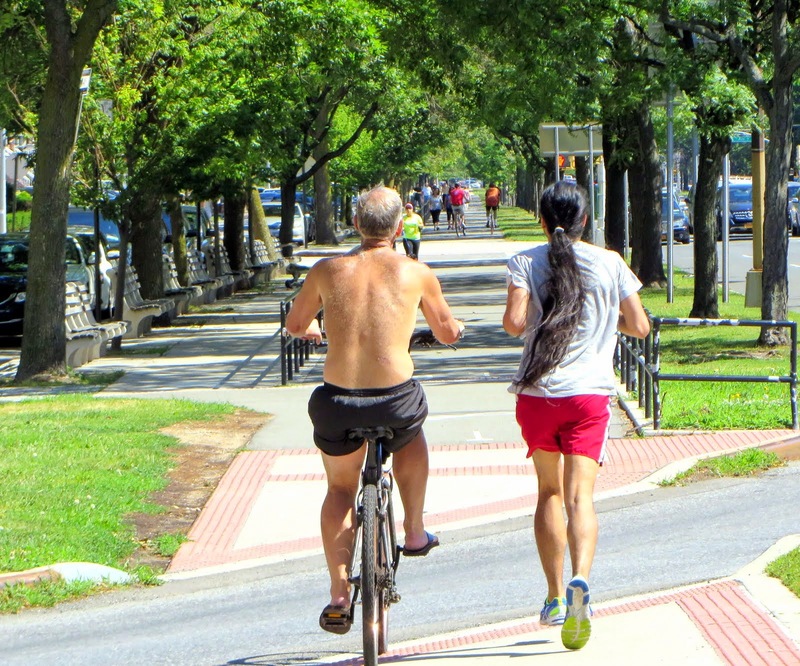 Aided by leadership from the Regional Plan Association, National Park Service, and the Jamaica Bay Greenway Coalition, the Greenway has proven its potential as a means of generating interest in and increasing recreational contact with the Bay. Using existing roads has given the Greenway a ready base from which to implement the DOT plan. But with a few adjustments, the Greenway could also assume a larger, more multivalent role for this part of the city, one that addresses coastal protection and economic development as well as recreation. This alternative route would depart from the course proposed by the DOT by moving the trail out along the edge of the Bay, thereby bringing people closer to the water and offering the promise of a continuous experience along one of New York’s most diverse and varied shorelines. This would mean diverging from Flatbush Avenue to follow the eastern shore of Floyd Bennett Field, continuing along Brooklyn’s southern shore, and bringing the trail out along the edge of Spring Creek Park, rather than proceeding down the center of Howard Beach on Rockaway Boulevard. And instead of running through the middle of the Rockaway peninsula, it would follow its northern edge, between Cross Bay Veterans Memorial Bridge and the Marine Parkway–Gil Hodges Memorial Bridge. This plan creates the possibility of using the Greenway, in places like the northern shore of the Rockaways, as a barrier to protect communities that occupy some of the most precarious locations in New York City. In other parts, such as the area west of Broad Channel, it may actually span the water for brief stretches via the construction of new pedestrian/bicycle bridges.